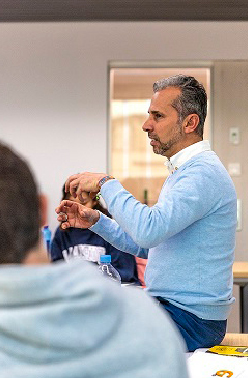 For the second year in a row, participants from the International Master in Management attended the Personal Inspiration Week in the second trimester. 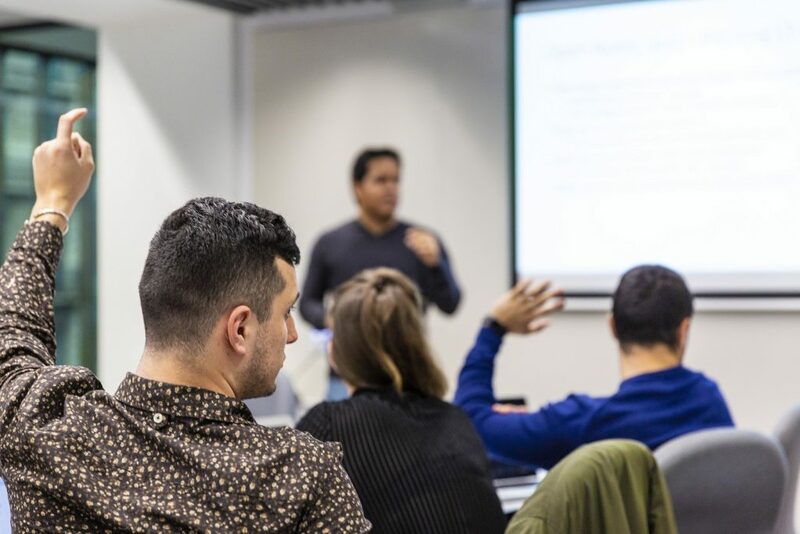 During the Personal Inspiration Week, EADA alumni are invited to deliver a one-week course about personal branding and how to succeed after the Master at EADA. Each alumnus/a teaches one course, and current students choose which elective to attend in January. Creative Personal Branding taught by Raquel Rubio. Students learn that the future of the business world will be about collaboration and connections, and that understanding your future career/life pathway is an important factor in success. They gain insight into their own skills and values and become aware of the role of beliefs in leadership and personal brand. Leadership Skills to Launch a Successful Career After Business School taught by Philipp Herz. Participants learn how to build the bridge between their EADA Master and the real corporate world with a focus on understanding the concepts of personal development, leadership, business development, personal branding, digital presence, public speaking, and personal finances. Personal Branding and the Art of Pitching with Authenticity taught by Vibhu Sinha. Students take a look at the psychological biases associated with branding and how the average person gets manipulated on a regular basis. The course covers authenticity, personal branding and storytelling and networking, and participants have the chance to pitch their personal brand. Business & Career Mentorship taught by João Perre. Participants identify the key challenges in their personal and professional life and commit to a personal action plan, a set of goals and objectives to achieve the desired outcomes. The course provides students with a personal compass to sail the challenging waters of today’s world without losing sight of becoming a better version of themselves. The aim of the Personal Inspiration Week is to help MiM participants better understand and develop their skill-set, consider where they might want to work after graduation, and understand how to prepare for the next steps in their career.